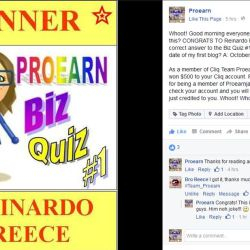 Proearn teaches individuals how to turn their skills into a business and start working for themselves. This may include direct sales, affiliate marketing and freelancing. Learn to earn directly/indirectly selling and promoting other people's products in exchange for a specified commission. Some or no investment required. Learn to market your skills and earn part-time or full-time income as a freelancer offline and online. Have a shop or stall? Or just need to earn extra monthly income? How about selling phone credit! 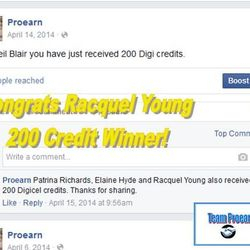 EARN extra cash selling Digicel & Lime prepaid Phone to phone credit. FREE SIGNUP! FREE TEXTING! 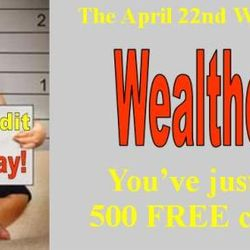 FREE CASH TO TRY IT! 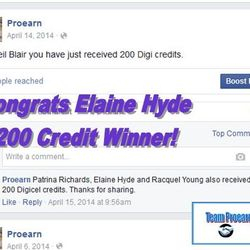 If you would like to maximize your profits and earn $Rewards, join Team Proearn to get started with a phone credit sales account today. Must have a LIME or Digicel mobile cell phone OR 24/7 immediate internet access to use with your Digicel Android smartphone OR see the options on the signup page. Must be 18 years or older to participate. Are you stuck in a 9 to 5 position? Did you know that you can earn a decent income in the new “gig economy”? Did you know that you can turn some of the skills you take for granted into a lifelong lucrative business? 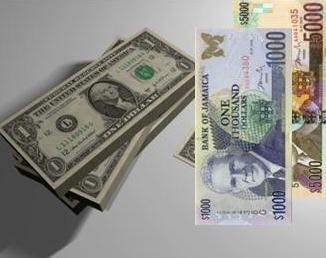 You can realistically earn up to US$2,000 per month from home. Legitimate opportunity to start your own business or supplement your current income. The purpose of the Program is to permit you to solicit customer referrals and to generate sales for specific products in exchange for a specified percentage of the sales generated. Here is a great way to monetize not only your Twitter account, but also Youtube, Tumblr, Instagram, Facebook, etc. 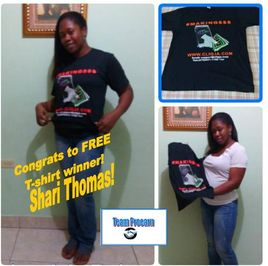 You must have over 1,000 followers to participate. In the Izea Sponsorship Marketplace, there are two main ways that allows you to connect directly with advertisers. They can make you a direct offer at the asking price you set per connection or they can choose to accept the bid that you create. You can also get paid as an affiliate when you promote products by sharing them on social media. 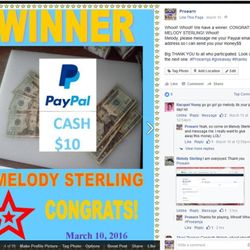 Sign up as a Creator and start getting paid to tweet! Blab! Monetize your Twitter, Instagram, Youtube, Tumblr and more! 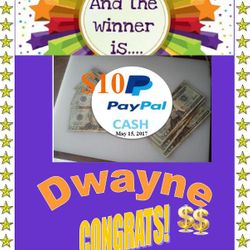 This is a FREE INTERNET BUSINESS OPPORTUNITY to work at home on the Internet. Free quick courses show you how. They supply free training to start your business. Start part time and make money in your spare time. 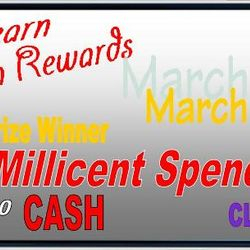 This is an excellent opportunity with many portals for anyone to earn money by working the program and marketing the FREE "gateway" websites. A freelancer or freelance worker is an independent contractor who is self-employed and is not committed to any specific employer on a long term basis. Many employers welcome using freelancers to get work done because it saves them money without having to make a permanent commitment as they do with regular employees. Promote these best-selling health products and earn with the No. 1 Herbal Affiliate Program. We’re talking about products for hair, anti-aging, general health, sexual health, mental health and more! Earn commissions starting from 30% up to 50% on sales you refer. 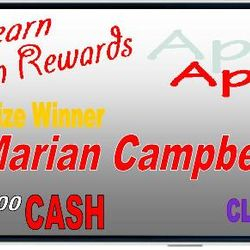 Earn commissions from ALL future purchases made by your referred customers. Start with no out of pocket money and no experience. Free training available every step of the way. Affiliate marketing is when you promote other people's products or services and in return earn a commission for any sales generated as a result of your efforts. Here you the affiliate are paid based on your performance. An advertiser will provide various links, banners and texts which contain your unique referral id for use in your promotions. 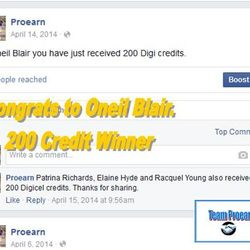 This is so that they can track any leads you generate toward a sale. This is accomplished through 'cookies'. Now cookies work with web browsers and they are used to store information such as user preferences, login information including the date and time a click is made on any of your links or ads. Sharing the uniqueness of Jamaica with the world! 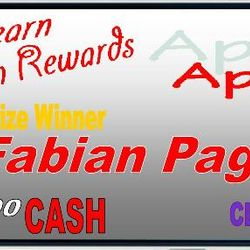 Drawing on May 1st .... visit the Forum to enter. 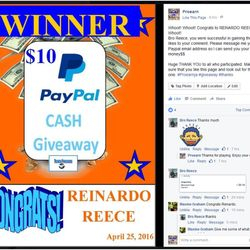 Reinardo Reece won $10 Paypal cash. "Bro, I love this site. it is one of the most informative i have seen on the web. The links are very useful and i haven't been through all a dem yet. 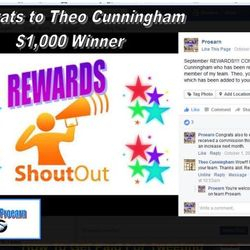 I am an amateur when it come..."
"Finding work online is no easy task but Proearn has shown me some ways I can at least make a start for financial freedom. Give it a try!" "Very impressive site with tons of informative information a newbie can digest and learn from. I'll be back. OK? Wishing you success always..."